Each week we look at the cinema releases for young kids to teens, under the age of 18. We’ve got a couple of great family films out this week, both with the thumbs up from our Filmclub experts! Our penguin hero Mumble (Elijah Wood) is now a father with an awkward, outcast son of his own to parent, Latin loverman Ramon (Robin Williams) has competition in the form of an exotic flying penguin, and somewhere deep in the Antarctic Ocean, two tiny krill are questioning the very nature of existence. All this is set against a backdrop of dramatic climate change that’s about to give everyone some much more immediate concerns. There’s a moral here. In fact there are several: the importance of accepting your limitations, the power of team work, looking after the environment and so on, but you’d be forgiven for being distracted by the relentless fancy footwork and the sheer spectacle. 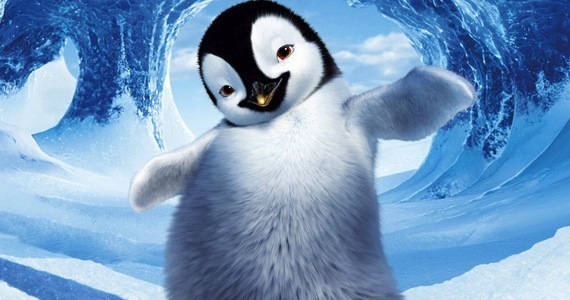 At a time when everyone’s hankering for hand-drawn, Happy Feet Two is a timely reminder of what computer animation can really do. A family-friendly adventure is not something you would expect the director of Gangs of New York and Shutter Island to make, but that’s what Martin Scorsese has achieved here with style. 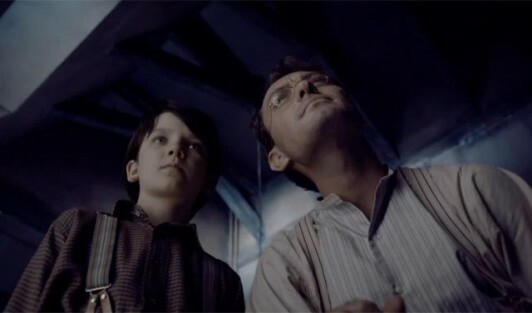 Hugo is a wide-eyed orphaned boy who lives within the walls of a bustling train station in 1930’s Paris. His lonely life is given a purpose by a mysterious unfinished robot left to him by his father. The final piece of the metallic jigsaw comes in the unlikely form of friendly young girl, Isabelle – she wears a key around her neck that is a perfect fit for the robots lock. As the catch clicks free, a magical challenge awaits the pair that embraces their joint-love of cinema. The storytelling and camera work combine to create a postcard to the power of film and the magnificent flights of imagination it creates. A key character in the film is Georges Melies – he is famous for being an inspirational pioneer of cinema, whose iconic science fiction film A Trip To The Moon was made in 1902. How do two incredibly shy people, who can hardly talk to each other, fall in love? Angélique is a very talented but timid chocolate maker who has been hired to help a struggling small chocolate factory owned by Jean-René, who is just as nervous and shy as she is. Their shyness appears in different ways, where Angélique is like a scared mouse, Jean-René is abrupt and awkward but unaware they share this problem their combined awkwardness gets them into a series of funny situations. Amongst lots of comedy, romantic clichés and chocolate, the most romantic symbol of all, an unlikely romance blossoms as they struggle to save the factory.